We all have things that we're good at. It's one of the things that makes us individuals. What makes each of us unique. We also all have things that we each know a lot about or at least we THINK we know about. And today's "Blog Every Day in May" topic is to share one of either of those things. So I thought a lot about the things that I'm good at and I thought a lot about topics that I know a lot about and I'll be honest. It was hard to just find one. Not to sound big headed or anything, but its true. Then this morning I was driving one of my best friends to the airport this morning and I realized there is one subject that I know a lot about and never really realized I did. I drive a stick shift. 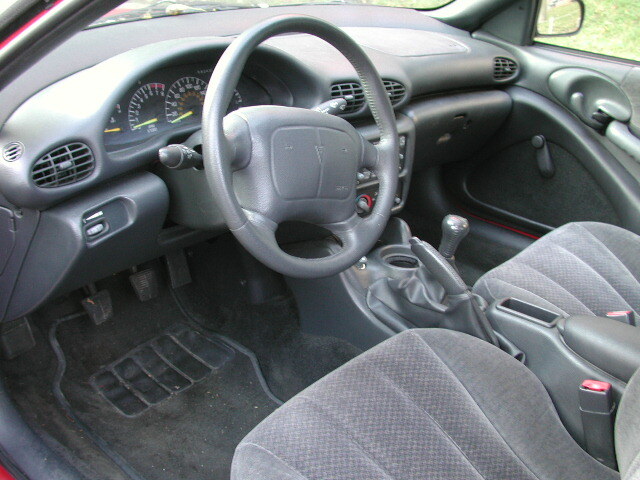 It's a 1999 Pontiac Sunfire and it's has a stick shift. Early this morning, my friend Kelly, commented on the fact that she wishes she knew how to drive a stick. So I then proceeded to tell her all she needed to know about driving one too. And now I'm going to share it with you. Anyhow, point is I've been driving my car since 2007 and I'm really good. Some have a light that comes on when you need to shift too. Mine does. But honestly once you get the feel for the car, you'll just know when you need to shift. You can actually feel the pressure on the engine just before you need to shift gears. You also have to remember that whenever you're at a complete stop and need to move forward, you HAVE to be in first gear. If you're in any other, the car will stall. Whenever you're coming to a full stop you also have to have the clutch pushed in, otherwise the car will stall. You'll find that neutral will be your best friend. Because then you can come to a full stop without having the clutch pushed in the whole time. That's pretty much all you really need to know about driving a stick shift. For some reason, men find it super attractive when I tell them I drive a stick. Their eyebrows go up, they get that impressed look on their face, and they usually say something along the lines of "That's hot!" Also, knowing how to drive a stick will come in handy if you ever want to go on the Amazing Race. Both my brother and I know how so when we actually go on the show (which one day we will) we're totally going to have an advantage over everyone else. You'd be surprised at how many people don't know to drive one. HAHAHAHA! I was totally going to make fun of you for cleaning your car hard-core for this post. Then I kept reading... and giggled a little. hehe love you! You are SO RIGHT — men DO find it really hot when women drive a stick. What is that about? I drive one too and there always seems to be a pause, nod of respect, and a glance up and down to check me out once in comes out in conversation. Ha! Oh, boys... if only we were that easy to please. Anyway, thanks for visiting and leaving some love today on the blog! Right back at ya!